Island charity and community groups received an early Christmas gift courtesy of the Isle of Wight Foundation, a charitable foundation funded by the partners in Island Roads. Nine organisations received funds of between £4,500 – £14,000 under the Foundation grant scheme to help support projects on the Island which tackle social exclusion – whether by helping provide access to training and employment or by building better communities. 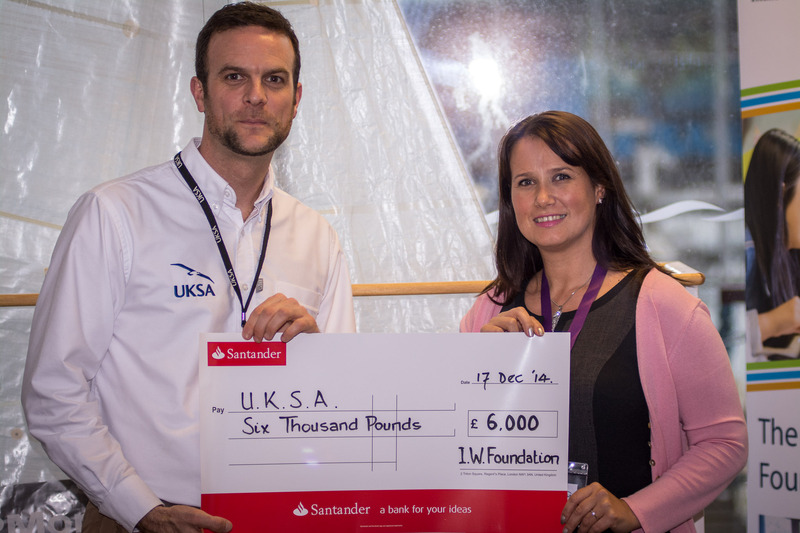 UKSA was delighted to receive £6,000 which will go towards providing training and engagement programmes for young people who are disengaged from society, giving them training, skills and emotional resilience to overcome their personal barriers. A cheque was presented to UKSA Deputy Chief Executive Ben Willows on Wednesday. Launched in the summer of 2014 Isle of Wight Foundation is funded jointly by Ringway Island Roads, Meridiam, Foundation d’enterprise VINCI pour la Cité and VINCI Concessions. A total of up to £80,000 was made available for the grant scheme in 2014.